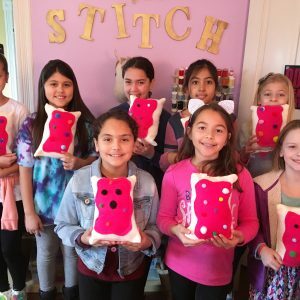 Learn how to machine sew or hand sew and complete a super fun project to take home! We can travel to your home for hand sewing parties. Travel fee will be added to cost. Machine sewing parties are just held at our studio. Food time is build into the party time durations. See descriptions for more info. Learn how to machine sew and complete a cute Penguin plushie along with a hat and scarf! Sew for about an hour and 15 minutes then the last 45 minutes are for any party food you would like to bring. This party option requires a 4 girl minimum or 10 girl maximum. 4th grade and up. Learn machine sewing and make an adorable oversized Pop Tart with icing and sprinkles! Sew for about an hour and 15 minutes then the last 45 minutes are for any party food you would like to bring. 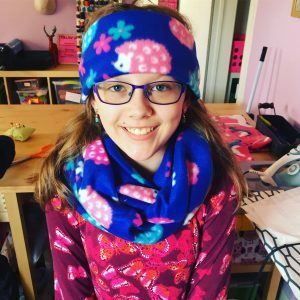 Learn machine sewing and make a trendy infinity scarf and cozy ear warmer headband set! Sew for about an hour and 15 minutes then the last 45 minutes are for any party food you would like to bring. 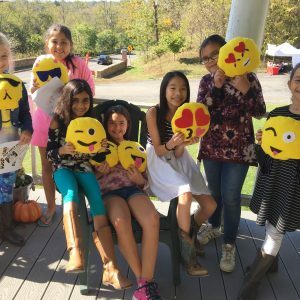 Learn machine sewing and hand sewing and create a cute Emoji pillow! Then create your emotion for your pillow using fabrics you get to choose. Create any emoji face you want and create/cut to make each one your own. 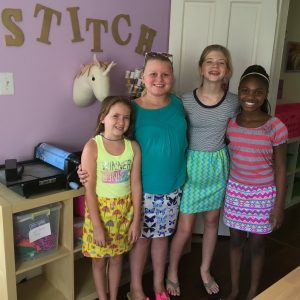 Learn machine sewing by creating a cute skirt! 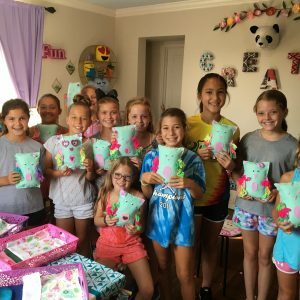 Each girl will be able to pick between several fun fabrics! Sew for about 1.5 hours then the last 30 minutes are for any party food you would like to bring. This party option requires a 4 girl minimum and 8 girl maximum. 4th grade and up. 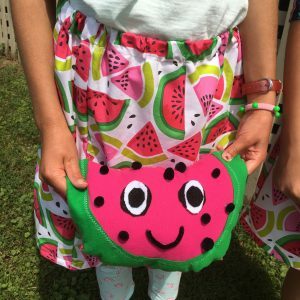 Learn machine sewing by creating an adorable Watermelon plushie stuffed animal! Sew for about an hour and 15 minutes then the last 45 minutes are for any party food you would like to bring. 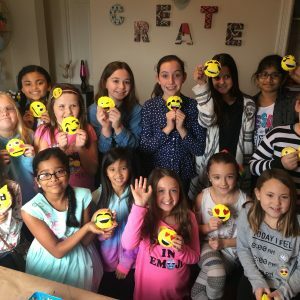 Girls will learn hand sewing by creating an adorable mini Emoji plushie. They will be encouraged to use their imagination to make each one “their own”! They will then craft a mini bed/nest for their new stuffie! This party option requires a 8 girl minimum and 15 girl maximum. 2nd grade and up. Note: We can travel to you for this party theme for a travel fee. 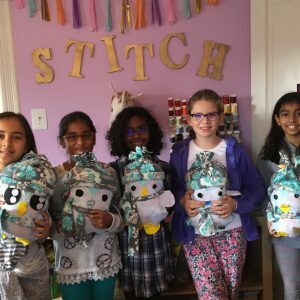 Girls will learn hand sewing by creating an adorable owl stuffed animal. They will be encouraged to use their imagination and tons of creative embellishments/fabrics/bows etc. to make each one “their own”! They will then craft a mini bed/nest for their new stuffed creature! This party option requires a 8 girl minimum or 15 girl maximum. 2nd grade and up. Note: We can travel to you for this party theme for a travel fee.